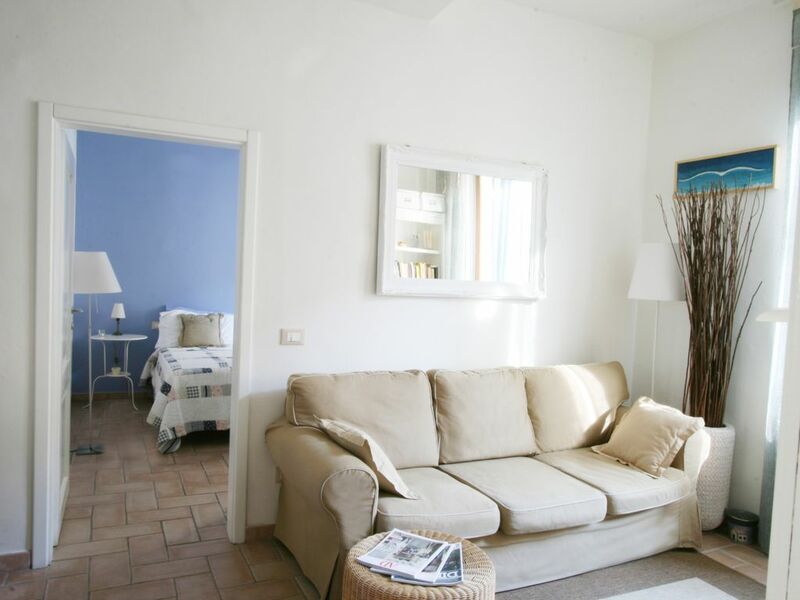 The apartment is located just outside of the historical city centre, in a typical Florentine neighborhood, full of shops and life during the day, while pretty much quiet during the night. We’re at the first floor of a building of the beginnings of 1900 full of light and totally renovated. There are two double bedrooms, living room, kitchen, bathroom equipped with shower. The closest supermarket is 100mt from the house. Just 400mt away you’ll find the famous market of St. Ambrogio (opened every day until 2.00 pm) where it is possible to buy every sort of typical food. In order to visit the historical city centre you won’ t need a car, it is easy to reach it by walking. For the laziest ones anyway, there’s a small electrical bus leaving just 2 minutes away from our location which will directly take you in 5 minutes to the famous Piazza Signoria in Florence. We couldn't have been happier with our apartment in Florence. Two separate bedrooms, a nice kitchen and a comfy living area are just what we needed after a day of sightseeing. The neighborhood is safe and there are great places to eat and shop nearby. I highly recommend Olivia's apartment and would definitely recommend it to anyone looking for a great place to stay. Olivia is a wonderful host. Responsive to requests and very helpful navigating the area. Overall a womderful experience. Our first time to Florence. Location is perfect to get to tourist attractions but we loved the local life and enjoyed the immediate area for food cafes and felt very safe...the only issue is npise. The motorcycles lined the street every night and morning outside bedroom window. Construction in building and street was invasive and loud late into the nights. Did not sleep very well. The condo is lovely but very noisey area.Despite the noise the host is lovely. Olivia’s place is great. Clean, comfortable and located in a great neighbourhood with everything you need close by. The best way to see Firenze! This apartment is wonderful! It is clean, fully furnished and in a great location! The host is absolutely the best! We will return often! Ideal home for our stay in Florence. The apartment is well thought out and comfortable the kitchen has all you need. The location is perfect for shops and near the C2 and C3 bus stop which will take you all around town and right to the SMN train station very cheaply. The host is a lovely lady and very helpful responds to any inquiries quickly and nothing is a bother to her..she loves her apartment and her city and encourages you to see the best of it.Thank you Olivia for your thoughtfulness. For people coming with a flight or by train the reference point is the Train station of Santa Maria Novella in Florence. There’s a bus leaving from there which will take you to the appartment in 10 minutes. Whether you want to reach us by car please note that there are pay parkings in the surroundings of the flat.